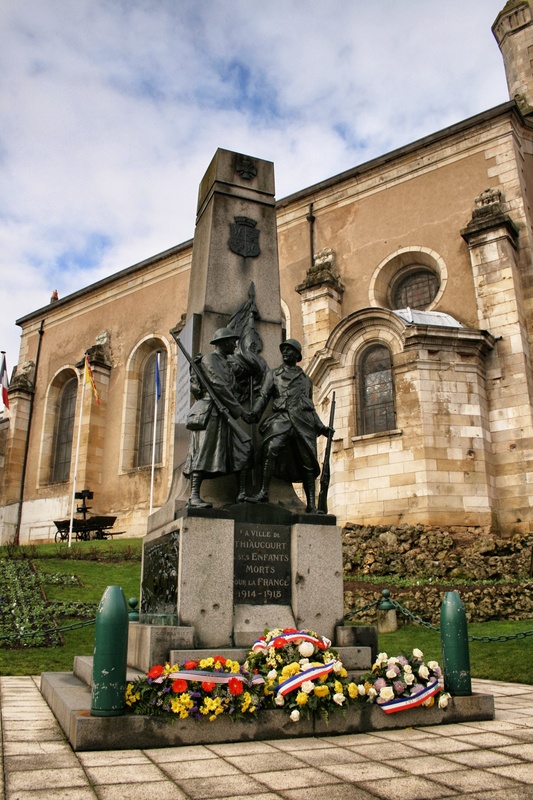 The village war memorial in Thiaucourt-Regniéville bears a striking bronze showing a soldier of the American Expeditionary Force (AEF) shaking hands with a French soldier, a Poilu. This recalls the occasion during the fighting for the St Mihiel Salient in 1918 when Americans and Frenchmen fought side by side. The War Memorial shows sign of battle damage from the fighting in this area in 1940 and 1944.